I missed the Halloween party with the girls down in DC this weekend, which was sad. But we had to make a new addition to the family because I need to remedy my commuting situation. The little Elantra hatchback should be on the road shortly! 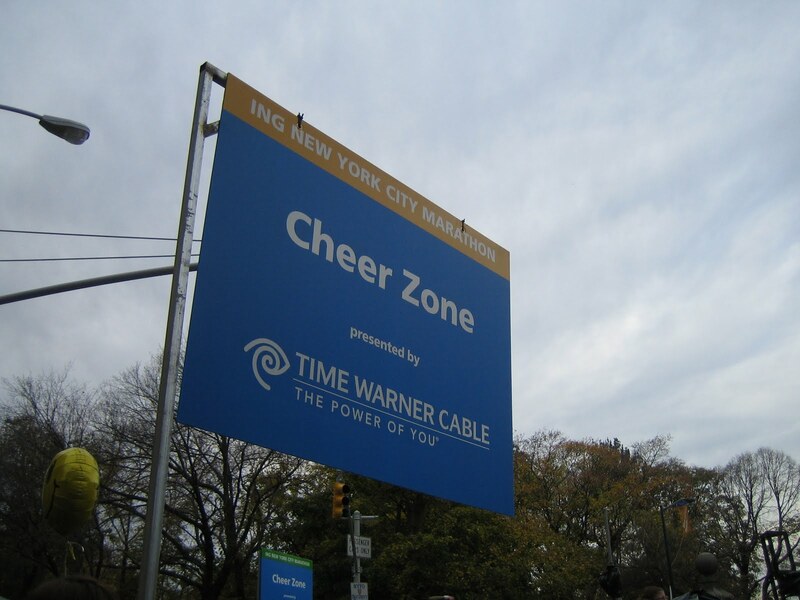 Since I was here this weekend, I did make it out Sunday afternoon to see the NYC Marathon and to support my friend, Joe. 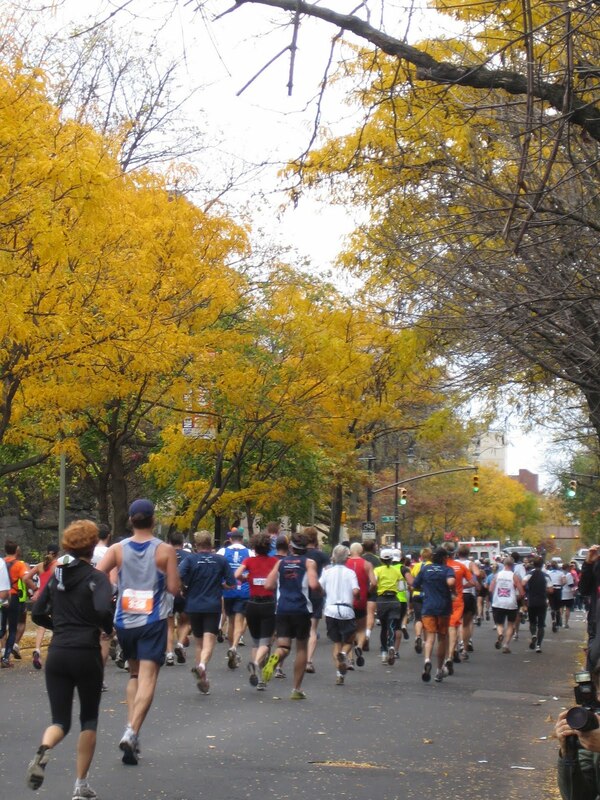 Honestly, running a marathon is not something I feel the need to do. Triathlons and half marathons work quite well for me. But I’m a huge supporter of other people’s training and races. I was the designated mile 22-er, and was supposed to be at 120th street, 1/3rd of the way towards 5th Avenue to await Joe. According to some book, this is where people hit the wall, right before a slight incline up 5th Ave towards Central Park. I was fresh and ready to run, so didn’t think the incline was really much at all. I suppose that after 22 miles, it’s tough. And I found Joe (he wore a red shirt, the crowd was light at this spot and I had a good view of the runners rounding the corner). Seeing everyone running is truly inspiring. 42,000 people run this race, and this year was the 40th Anniversary. I so appreciate people cheering me on during the triathlon that I like to give people shout outs and yell encouraging words. Some people are clever and put their name on their shirt. I’ll admit that it makes it easy for me to cheer them on! I love it when they look over and smile after hearing their name, with a little more pep in their step. 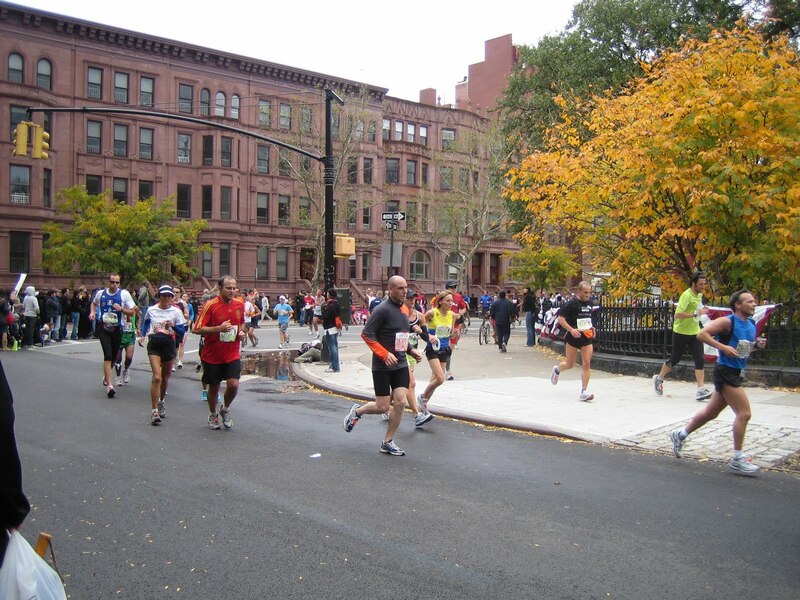 This shot is right before the runners turn into the park at 92nd street, where quite a crowd forms to cheer. And this is where I had to drop off since “running friends” can’t go into the park. Can’t wait to cheer people on next year! YAY! Glad you found him then? As a runner, I very much appreciate (OK NEED!) cheerful, boisterous cheering from the sidelines. Great for you for doing that. I'm sure it meant a ton to Joe.